We’ve been working on our master bathroom over the last few weeks. When we updated it for the $100 challenge, I felt so much happier with it YET I felt disappointed in it too. To be frank, I hated the bathroom vanity and just felt like if we were able to change the vanity out then the space would feel drastically better. So, one thing led to another and Luke is building me a vanity! It’s just about done so I’ll definitely share it soon. Since we were changing the vanity out, we had to get a new faucet because the new vanity top had a three hole configuration. I’d already been looking at black bathroom faucets for the powder bathroom renovation but wasn’t completely sure if I was going to go with a black bathroom faucet in there. But, in our master bathroom, I think a black bathroom faucet makes the most sense for the space. 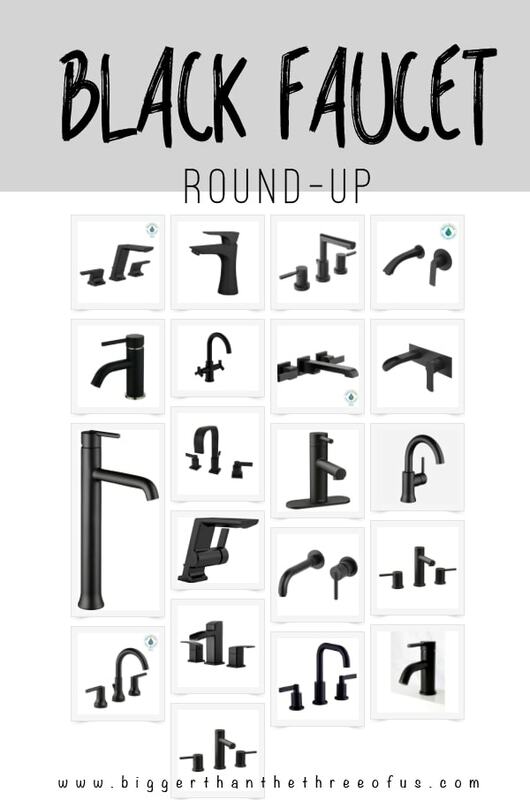 So today, I thought I’d share with you a round-up of 20 Black Bathroom Faucets. How amazing is that bathroom? Seriously, I’m so in love with it! I’m not doing a wall-mounted faucet but I do really love them. 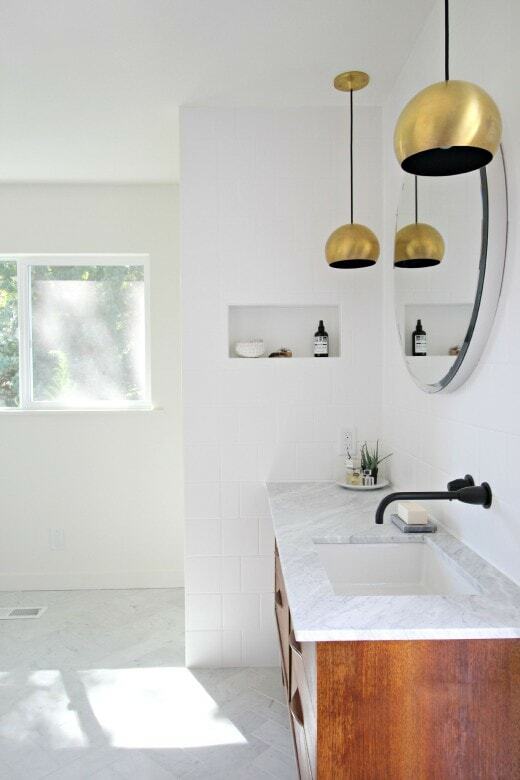 When I first started looking at faucets, I had no idea if I was going to go with a wall-mounted faucet, a one hole faucet or a three hold faucet. I sourced a few of each and have included them all below. Spoiler alert, I picked one of the three hole black faucets above to go in my master bathroom. I can’t wait to install it and see how much it changes the space. I’m aiming to share it with you guys by the middle of May!